Linda Cullen and John Alford represented the Ecklund Trust when we sold the home at 719 Claremore Dr. in West Palm Beach. This Monterrey Style home was built by the Ecklund family in 1941, and it was owned continuously by members of the Ecklund Family until it was sold in 2018. Lee Ecklund, MD was the last owner; the son of the original owners. Over the years Dr. Ecklund watched as the Flamingo Park neighborhood was transformed from a mediocre neighborhood into one of the most sought- after neighborhoods in West Palm Beach. He credited much of that change to the leadership of Linda Cullen. Ms. Cullen led the neighborhood association for years. In addition Ms. Cullen represented many buyers and sellers over the years as the neighborhood was transformed. I chose to consult Ms. Cullen because of her knowledge of the neighborhood and her reputation of honesty built up over many years in the business. Linda and John were most helpful to us in successfully selling the house. I am pleased to recommend them without reservation. They make an excellent team. As first time home buyers, my husband and I knew very little about how the process worked, how many people would be involved and how long it would take. Linda Cullen walked us through every step. During the negotiations she had our backing. Once the price was agreed to, she made sure we got a good inspection, introduced us to a wonderful mortgage broker, talked us through the process of required electrical upgrades, insurance, PMI, and all the other little, and not so little, things. We were thrilled with her and won't buy another property without her. Linda patiently spent over 2 years with us as we cautionsly proceeded to purchase a second home. We made numerous trips to Florida and looked at a wide variety of homes, which may have tested the resolve of any other Realtor, but Linda always welcomed us with a smile and a story. We finally settled on a home in Ft. Lauderdale, and Linda was right there with us every step on the way. We hope to continue our relationship with Linda as a friend and a Realtor. We have consulted Linda Cullen on the question of both purchase and rental of a house and have found her to be extremely knowledgeable and helpful. She has gone into minute detail and made a number of valuable suggestions. Linda has infinite patience, which we found to be a major quality. There have been occasions when we have wanted to look at a property 3 times, and she has always, without any question and with a genuine smile, taken us around. Always prompt in answering questions and keeping appointments, we have no hesitation in recommending Linda Cullen to anyone seriously looking for accommodation in Florida. Being a Realtor myself, I find that I have very high expectations when choosing a real estate professional to work with. Linda certainly met and exceeded them! Her professionalism, knowledge and dedication were essential in finding the right property and negotiating the deal. I will always be grateful for all her hard work, which really made a difference. Linda Cullen is the "GO-TO REALTOR", bottom line, for MY money! If you are looking for an honest, knowledgeable, professional and real (pardon the pun) real estate agent to help you with the purchase of a South Florida primary or vacation home, look no farther than Linda Cullen. Having recently been through the process and dealing with several other agents who seemed to be more interested in selling real estate rather than listening to the needs/wants/desires of their clients, Linda was a real pleasure to work with. She helped us narrow our focus to a condominium-style unit, was quick to answer follow-up questions, was very honest and forthright in communicating the pros and cons of certain properties and, above all, displayed absolutely no impatience or pressured us into a buy decision. I highly recommend contacting Linda if you are interested in property in West Palm Beach or the surrounding area. When I originally listed my unique historic home in Southland park with Linda Cullen it was as a corporate relocation. Linda didn't flinch knowing that another whole team of folks would be watching over the entire process of marketing and getting the home sold as quickly as possible - she embraced it. Prior to close, the terms of the sale changed and it became a standard listing; however Linda continued the same level of tenacious marketing of the house as if nothing had changed. Given the tough housing market and the pricing pressures of 2011-2012, finding the exact buyers for this unique property was not easy. Yet she still managed to get the home sold in under 1 year's time when most houses in that category were lingering for 2+ years. The final buyers were well vetted, super-qualified and the close was smooth. Linda even made sure that every last minute possible derailment that tends to pop up would not prevent the close. She was pro-active, willing to go above and beyond and a solid ally through the whole process. I would recommend Linda to anyone looking in the West Palm Beach and South Florida market. Linda knows the inventory, the history and many of the people in the area very well, and her communication level is outstanding. Knowledge, passion and ethics are attributes often difficult to find in a real estate agent. Linda Cullen possesses all three IN ABUNDANCE! She has been involved in every property transaction that I have had over the last decade and I couldn't be more pleased with the service I received. Linda has the patience and dedication to hard work needed to complete a successful sale. When she helped me to sell one home and buy another in '99 she did so with efficiency and professionalism. In that market she helped me achieve a record price for a home in that neighborhhood; that she would work that hard, if not harder, in today's market is without doubt. She remains the one Realtor I will turn to the next time I want to buy or sell a property. Linda Cullen is the gold standard against which all other real estate agents should be measured. Combined with her know-how and professionalism is a great deal of intuition about what her client needs and the tenacity to make that need become reality. But for her guidance I wouldn't have the home I always wanted. Aside from carrying me in her arms like a baby from house to house, there isn't a thing she could have done better during the course of my home search. It's her good fortune that I found my dream home and her spine is still intact. Linda is smart, well-informed and indefatigable. What distinguishes her is the way she listens. She hears what you are saying, listens to what you want, and finds what you are looking for. We benefitted deeply from her knowledge of the market, her determination and good cheer. My wife and I searched for a home for years without success. We were looking for something very specific. Linda Cullen was very professional and helped us acquire the home for which we had been searching for years. She helped facilitate the entire acquisition process and her services were excellent, her responses to questions prompt and her availability was selfless. I know of no other Realtor who knows Grandview Heights and Flamingo Park as well as Linda Cullen does. Linda Cullen went far above what I expected in a real estate agent. The transaction for my new home was not an easy one and I doubt that it would have happened at all without Linda's experience and ingenuity. She is an outstanding representative of Coldwell Banker. I am a life-long resident of West Palm Beach (born here) and personally know many Realtors. Too many real estate agents became Realtors as a second career or as a hobby and too many don't even know the streets and must use a map just to discuss locations. 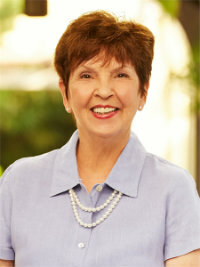 Out of the many Realtors, I chose Linda Cullen to represent the sale of my home because she is a "Full Time Realtor." Linda's seven-day-a-week approach to marketing a property was exactly what I preferred. Linda not only knows the market, she knows the people who are the buyers and has an uncanny way of knowing about properties that will soon be listed. All of this and the fact that she is most charming and articulate in matters of real estate made her my choice. The mark of a top notch Realtor is found in not just knowing the best methods to buy or sell at the best deal possible, but also to be on top of intangibles such as neighborhood character, ease of access to important amenities and basic quality of life needs. It also is found in a Realtor who treats you as an individual person rather than another client and spends time to get to know you to understand what you really want and need. Finally, it is someone who makes you feel comfortable that any question or concern you have will be answered, and answered promptly. Such a rare Realtor is Linda Cullen and I truly speak from first hand experience benefitting from her notable professionalism and genuine client care. I met Linda Cullen for the first time in late December 1998. Within one hour of our initial phone conversation, we met and I made a deposit with her on my first home. It obviously did not take much time for me to realize that Linda was a person of great character and integrity. In that one hour of time, Linda's natural abilities and extensive knowledge of historic properties were made so apparent that I felt totally at ease in making the largest purchase of my life to that point. Since that day, I have made several investment property purchases and sales with Linda. Never once have I questioned my initial instincts about her. Linda's follow-through abilities are outstanding, and she leaves no stone unturned. My business relationship with Linda has evolved into a life friendship and we have successfully worked together on numerous neighborhood and city projects. I have an eighteen-year career in the construction industry and deal with Realtors on an almost daily basis. There is no one that I would recommend higher. When I tell people Linda Cullen sold us a lot and then sold our home so we could build our dream house, they just nod - until I say, No, you don't understand! Linda went out and found a lot in Flamingo Park that was not even for sale, persuaded the owner to sell the lot, and presented our family as the right buyers for the property. She then did the truly impossible. Linda found a buyer who not only paid the highest price ever in Flamingo Park for a historic home like ours, but one who was also willing to let us stay in the house for a very reasonable rent until our new home is built. And she did all of this in record time with grace and efficiency, helped us navigate various zoning hurdles, and worked with us and our hectic, complicated lives every step of the way. Linda knows historic homes and neighborhoods and understands the real estate business. And if you take the time to get to know her, you'll also discover a warm heart and a riotous sense of humor. We recommend Linda Cullen without reservation to anyone looking to buy or sell a home in West Palm Beach. As a senior executive commuting weekly between NYC and West Palm Beach, it was a pleasure to work with Linda. As a real estate specialist, she quickly and accurately determined the degree of flexibility in styles and prices that I was looking for, showed me a palette of properties that illustrated those requirements, and then efficiently helped complete the job maximizing the very limited time I had to find a Florida property. John Polo - Sr. VP, Securit-e-Doc, Inc.
Linda Cullen's experience, professionalism, great communication skills and sense of humor kept the sale of my house moving forward, even in a very tough "buyer's market"! Her dedication and ethics are beyond reproach. I would not hesitate to work with her again in the future. My husband and I first put our house on the market at the beginning of the housing downtown crisis in South Florida and pending global economic recession. After three years, two other Realtors, and a move out of state, we finally contacted Linda Cullen. From the onset, her knowledge, professionalism, integrity, honesty, candidness, responsiveness, and confidence put us at ease. Within just a few months we had an offer, and we closed in record time. I can't say enough about Linda's dedication to her profession, and I wouldn't hesitate to recommend her to anyone wishing to sell or purchase a home. Thank you Linda! We are so grateful. You are the best! Dear Linda, I would like to take this opportunity to personally thank you for handling my real estate needs and finding me such a great tenant. I also want others to know what an outstanding real estate agent you are. Having known you for years, everyone should know of my first experience with you that not only went flawlessly and correctly - after calling many other agents in the area that never called me back. Many were too busy at the time. After dealing with one crazy agent, you were truly a Godsend. Once the others found out my price range they never called back, but you were there to help me out and thanks to you, I have a very nice rental property now. Also, everyone should know that you've been working in this area for a long time. As a native to the area, I remember seeing your ads around the community. With all of your local contacts, experience and knowledge, I believe no job is too small or big for you to complete. You definitely have earned five out of five stars in my book and I recommend you to everyone I know with any real estate. Thanks so much Linda. When I moved out of state for a new job, I knew Linda was the person I needed to find a renter for my home in Flamingo Park. I doubt that anybody else can match her knowledge about Flamingo Park and other historic neighborhoods in West Palm Beach. Once I left for my new home, Linda was quick to return my calls, or initiate them on her own to apprise me of developments. Within three weeks I had a tenant who will pay the amount of rent I sought. It's a little stressful dealing with real estate matters from 625 miles away. I trusted Linda to act in my best interests, and she did not let me down. I've known Linda for over 14 years. Over the course of these many years, I have come to know Linda as a consummate professional! I know that my interests are always paramount in her mind. What's more, I have always found Linda to be available to answer any questions I may have regarding our business dealings. No matter the day or time, she has alwlays been there for me. I know this to be true for others as well in that we, the residents of Flamingo Park, all rely on Linda for any and all matters regarding Flamingo Park. I look forward to a continued relationship with Linda. With Linda I never have to worry or wonder if my interests are being properly managed. I know they are! This is a priceless relationship to me! Linda Cullen provided exceptional service during all stages of our search for a home. From our initial contact, all the way through closing, she made us feel that it was her top priority to get us into the best home for our family. She helped us find a rental home while we were "house shopping," educated us in detail about the area we chose to focus on, coordinated many, many showings of homes that might meet our criteria, and eased us through to the closing. She even managed to soothe the stress along the way with a wry and engaging sense of humor. If I ever need local real estate services in the future, I will unequivocally work with Linda and Coldwell Banker again. She is truly a "full-service" Realtor. Linda has made it her job to know the historic districts of West Palm Beach. She has knowledge of the whole market, but she is immersed in the historic districts. I told Linda that I really wanted a particular house and she went to work for me making sure we met all the requirements and closed the deal. I want to thank Linda for all the hard work and personal attention involved in renting my house twice in Flamingo Park. She is a committed in-town dweller who knows her turf well. For all my future real estate needs, I will certainly call upon Linda Cullen. I first met Linda when trying to sell my condominium in West Palm Beach right after the housing bubble burst in 2007. It had finally hit me that the Florida job and housing market were "going south." She guided me through the process and was always cheerful, honest and informative. Shortly after placing my condo on the market, I did get a new job in North Carolina. Although our professional relationship was long distance, Linda always kept me informed and awaye of my obligations. After the County reassessed my condo at a value of approximately 40% of my purchase price, Linda presented my options and guided me through the process of a short sale. When legal glitches appeared, she guided me to a very competent attorney. When the paperwork of the sale became almost insurmountable, she guided me to Sunbelt Title and their extremely competent and gracious staff to assist me in dealing with the mortgage company. During the whole process, Linda remained involved and finally found a legitimate buyer for my condo, and after a tumultuous time with the mortgage company, I secured a final sale and closing went off without a hitch. The entire process from initial listing to closing was THREE YEARS. Linda and her cohorts were tenacious, loyal and, had it not been for them, I would surely have left my senses. If I have the choice, I would never use another Realtor. She saved my sanity. I looked at houses for sale for over a year with another Realtor. Made 2 offers on short sale, both lost to cash investors. The Realtor I was working with is a dear friend. She had to go out of town for 6 months and luckily recommended Linda. Linda took me out for one hour...and showed me the perfect house for me! Linda made the short sale process effortless. She even kindly split the small commission with my friend. I recommend Linda Cullen to anyone who needs help finding the perfect property. Linda is so brilliant as a Realtor; I wonder if she has a magic wand! It's a good thing we were working with Linda Cullen on our real estate needs because we had no idea what a challenge buying property can be these days. Purchasing our last home would have been rough on anyone. We purchased a short sale property and Linda guided us through the emotional, time-consuming process like the professional she is. Thank goodness for her calm, focused demeanor. We needed someone to help us get through the details. Our beautiful home is exactly what we wanted, where we wanted it and how we imagined it could be - thanks to Linda. Linda, thank you so much for your support, follow-through and professionalism in selling our condo. Even though the market was not good, your tenacity prevailed and I think you know that I haqd complete confidence that you were the right choice. You are someone who will continue to do well because you don't quit and know your business. Thanks again for all your support. We have had the recent pleasure of working through a complicated short sale in a historic district with Linda. She made sure we didn't miss a unique opportunity to secure the perfect property for our needs. She is competent, knowledgeable and hard-working. Her familiarity with the City of West Palm Beach snd its neighborhoods offers an unparalleled level of professional insight. Linda also has years of dedicated community service, whch enriches her ability to assist potential homebuyers. We were happy to have Linda as our agent, and are lucky to have her as our neighbor. Linda was a joy to work with. She anticipated every probability and/or possibility of the short sale process. She was available for hand-holding and/or problem solving 24/7. Through that we became good friends. If you are looking for a Realtor who only shows you the kind of house you want and in your price range, Linda Cullen is the one! We looked at houses that met our needs and appropriate for our finances. At the end of day one we had made an offer on a house, subsequently closing on it. There were no surprises at closing because Linda suggested we pay for our own title search. She listens to her clients and puts them first. She knows the area and can answer any questions about the property or tell you whom to call or email to get the answer. She is patient and willing to give her time to help her clients make good decisions. She works hard to put a smile on her clients' faces. I highly recommend her!